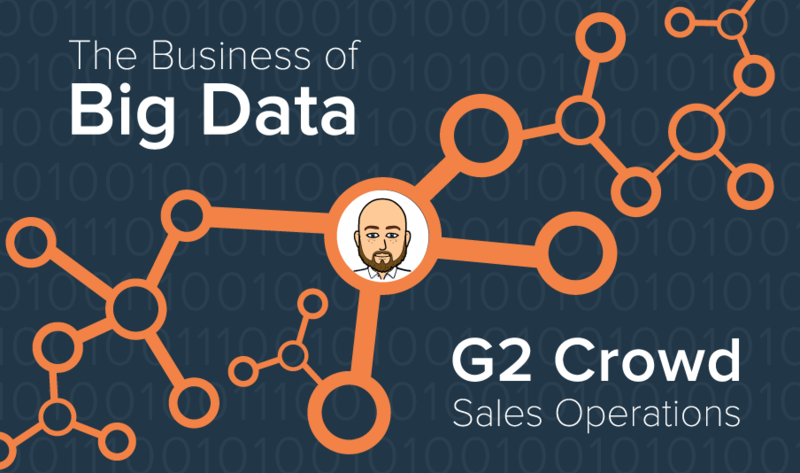 Throughout the month of March, G2 Crowd’s research department will share our insights around the topic of big data. Check back here, on the blog and on our social channels to read the latest. Our first big data miniseries examined the way an imaginary toy manufacturing company, “Big Toy,” used big data within its various teams: operations, product, sales and marketing. For this second series, the G2 Crowd research team interviewed other members of the company about how they use big data. In our fictional case study, Sandy Washington, the VP of Big Toy, uses a slew of sales tools, including CRM, sales intelligence, sales analytics, and CPQ software. However, she plans to overhaul the existing processes in place with more efficient software. 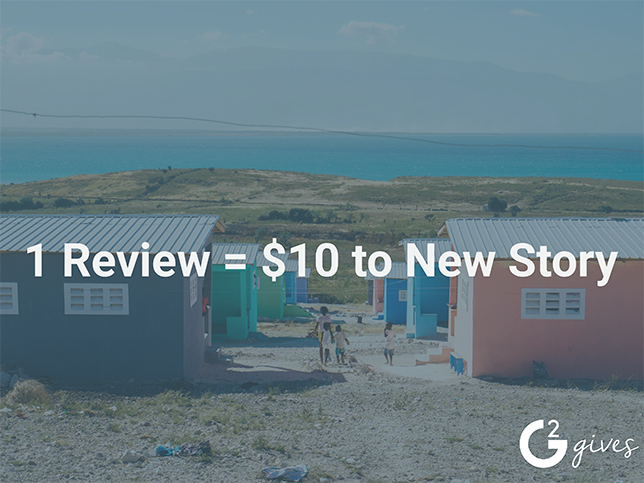 The G2 Crowd research team spoke with our own sales operations associate Cameron Bumstead to understand his cross-departmental scope and his normal workflow process. Research Team: What did you do before sales ops? Cameron Bumstead: I was always in sales before I came here. G2 was my first sales ops job. Having experience in sales was definitely a good foundation [for my current job]. That’s actually how I pitched it in my interview: “You guys can teach me the administrative aspect and the technical stuff, but you’ll never teach me how to be a salesperson.” That’s not something you can teach. The fact that I went through sales, and did it for four years before I took this position, definitely helps me in what I do. I know what things are important [to the account executives and business development representatives] and what things I need to concentrate on. CB: Besides content, I touch almost every department. RT: What does your regular day-to-day look like? CB: There are really two parts of my job. One is the true sales operations part, where I’m dealing with enabling the sales team to do their jobs easier. This is kind of a blanket statement but I work to make processes more efficient so [the sales team doesn’t] have to worry about them in the long run. Then the other part of what I do is the administration of all our sales tools and systems that we use. That involves keeping our data clean within Salesforce [CRM], putting in workflows and rules—to make sure that our data is clean—and keeping our database clean in general. RT: What is your normal workflow process? CB: I feel like I’m really project based. I think what I do can be applied to big data in general. I’m always looking for some kind of anomaly in data or process and working to fix that anomaly, making sure that there are no irregularities with the data. READ: How a sales department uses big data. RT: What do you understand “big data” as? CB: It’s this big idea that we have so much data out there, especially in G2 specifically. We have data on the backend, we have our customer data, we have everything that we hold in general—all of that data would [qualify as] big data to me. The market in general is figuring out what the hell do we do with this data? The trend I see emerging started with [business intelligence] BI tools, forecasting tools and predictive analytics. Predictive analytics is big right now in the sales enablement category, where people are finding different ways to use this data more efficiently. [In the past] a lot of company data was accurate but a lot was inaccurate. Companies still try to hone in on accurate data, but also there are these cool new cools like predictive analytics. The most interesting thing right now, though, is the use of big data. RT: How do you use big data day-to-day? I imagine sales ops would be nonexistent without data. CB: Yeah, definitely. Big data and the tools associated with it allow me to track and analyze the performance of [our sales] reps and see where they can improve. RT: Are you the only one with access to the data within Salesforce? Or can the whole sales team peer into the backend as well? CB: A lot of the data is on a need-to-know basis for the sales reps; it can really get them in the weeds. Using the data as a coaching point instead of giving [the reps] actual data is definitely more effective. You don’t want them spending their time on that kind of stuff, that’s not the kind of stuff they should be doing. They should be selling, not analyzing the data. RT: For you specifically, how does data factor into decision making or forecasting? CB: Because we’ve been growing so much, things are tweaked every half [year]. Now that we can look at historical trend data, it’s looking at the last half and what we did. Territory assignments are the perfect example: What did we do last half that worked? What data points did we use last half worked? What maybe didn’t have an influence on that being a good account? Then I evaluate from there and tweak whatever we need to do. That works for territory assignment, quotas, forecasting—for any of the things that are heavily number based. RT: Is this based in best practices? RT: What do you wish people would understand about your role? CB: A lot. There’s a lot of things that go on. Since I’m working with so many different departments, I get asks coming from everywhere, and a lot of people don’t necessarily know that I’m dealing with so many different areas of the company. That’s on top of doing basically two different jobs. I try to prioritize. I think sales ops a lot of the time is looked at as a back office instead of being looked at a trusted resource for how the company can start selling more. To read more about big data, visit G2 Crowd's big data blog page.